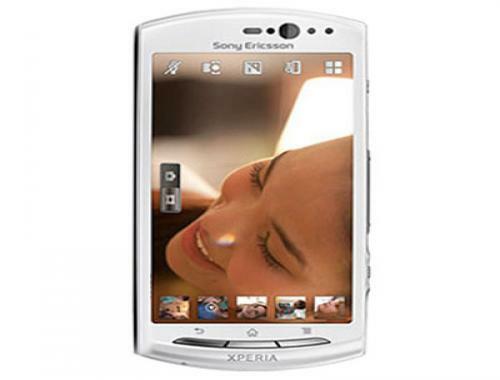 The Xperia neo within the price tag of Rs 20,000 segment is handsome price tag for the Smart Phones in India. The Xperia neo V has a stylish, rounded design resembling to Sony Ericsson Vivaz. The phone has a 3.7 inch display. Its resolution is 840x 480. The quality of the display is quite good. The colours are natural. There is an attractive Mobile Bravia engine feature that improves the display setting and as well the video quality. The phone runs on a Qualcomm Snapdragon MSM8255 with a 1GHz CPU and Adreno 205 GPU. Performance wise it is faster than the TI OMAP 3620 and 3630 found under the Motorola DEFY+ and Samsung Galaxy S LCD, Optimus Black respectively. There is also provided 512MB of RAM, well adapted to the purpose of multi-tasking. In software it has the best UI I to be implemented over an Android device and makes it much competitive in the market. The phone has a TrackID option that allows it to take and select screen shot. The facebook functionality is also provided with and well inside Xperia. The phone also has all the important Google apps features like Mail, Maps, You Tube and Android Market. The browser performance is also much satisfactory. Presently phone operates on Android 2.3.4 but the Android Ice Cream Sandwich is also promised by the Sony Ericsson to the phone. The camera of the phone with about only a 5 megapixel sensor well retains the auto-focus, LED flash a 720 video recording. The phone has two-step shutter button on its one side. The camera has multiple scene modes, self-timer, touch-to-focus, digital image stabilizer for stills and video. The music player on the Xperia neo V is very e good. Contrary to the sock Gingerbread player, there is an equalizer presets and a nice, large view of the album art. The player also adjusts the background color in tune with the album art. The audio quality through headphones is also equally nice. The phone also is provided with an in built FM radio. The Battery life of the life is also good as the phone is provided with a 1,500 mAh Li-Po battery. While watching video and doing other activities the phone ends full day on a single charge.